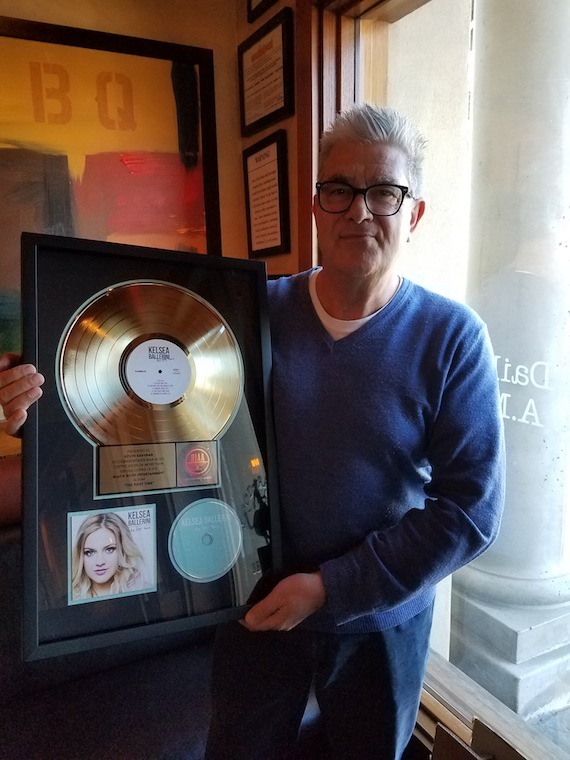 Kevin Savigar was recently honored by his publisher Deluge Music with a gold plaque for his work on Kelsea Ballerini’s debut CD The First Time. Savigar co-wrote the track “Stilettos” with Forest Glen Whitehead and Ballerini for the project. Based in Los Angeles, the accomplished session keyboardist, composer, songwriter, and producer has contributed to a wide range of recordings for artists like Rod Stewart, Bob Dylan, George Harrison, John Mellencamp, Pat Benatar, Willie Nelson, Randy Newman, and Peter Frampton.